You forget yourself Elizabeth. Jamie is straight-up Queens, represent! 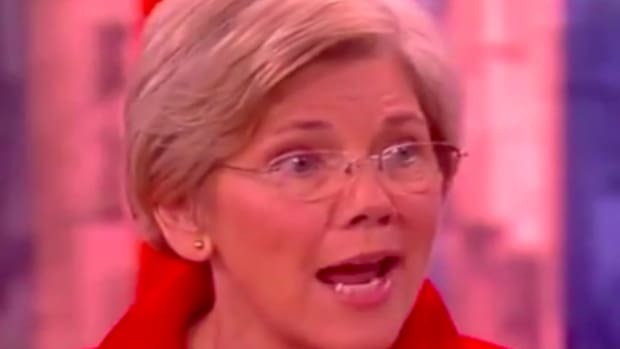 We&apos;ve learned a lot about Elizabeth Warren in the past week or so, with profiles of the Massachusetts Senator and anti-Wall Street crusader seemingly bubbling up from all corners of the media ether. The Tale of Lizzie Warren is a well-trod one at this point; Oklahoma-born legal academic rises to become powerful regulator and US Senator that makes the financial services industry tremble with her every whim... yadda yadda. But a piece in today&apos;s Bloomberg Markets takes pains to detail just how piss-their-pants scared of Warren bankers really are. Let’s assume that when he woke up on the morning of Dec. 12, Michael Corbat, CEO of Citigroup, was feeling pretty good. The day before, the House of Representatives had passed a bill that would save his bank and others lots of money and headaches. The trouble was, Elizabeth Warren, the senior senator from Massachusetts, was getting ready to speak on the Senate floor. She had his bank on her mind. In January, Warren’s protests effectively blocked Obama from appointing Antonio Weiss, a banker at Lazard, to the No. 3 position at the Treasury Department. In February, she took on Federal Reserve Chair Janet Yellen, calling out the central banker for the conduct of Scott Alvarez, the Fed’s top lawyer, who criticized the swaps push-out rule in a speech. The litany of terrified bankers is long in the story. Tales of Warren bullying and bending abound, but one particular exchange stands out. Looks like Warren brings out the Queens in Jamie. And that, kids, is why you best learn that if you come at the Khaleesi of Wall Street, you&apos;d best not miss. HORN SOUND, HORN SOUND, Oh no she didn't!!!! 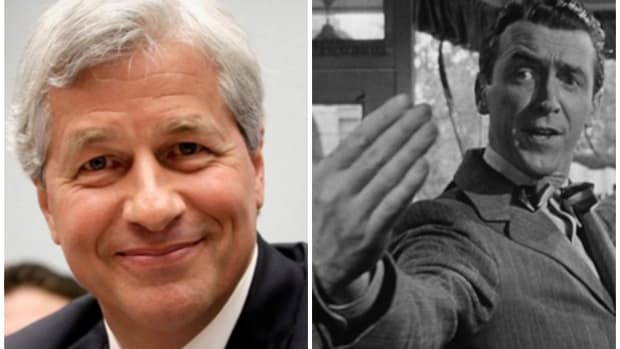 Hey Wall Street lobbyists, who's your favorite Little Rascal? 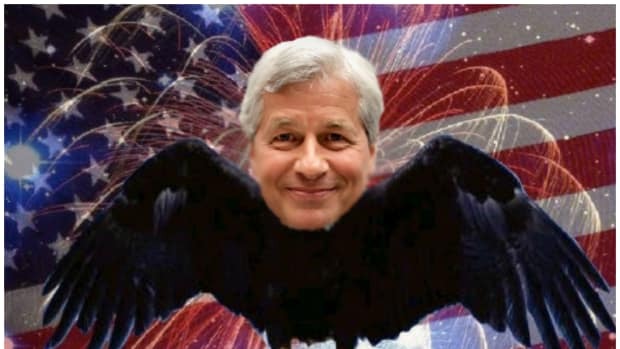 The JP Morgan chief is worried the senator is missing some key points. 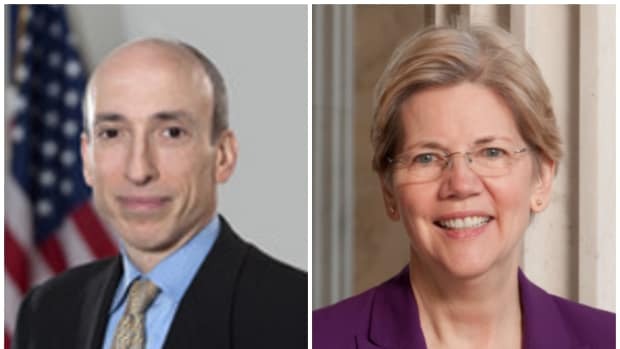 Elizabeth Warren So Thirty For Gary Gensler To Run Treasury That She's Forgotten How To Say "Goldman Sachs"
Talk about "The love that dare not speak it's name." Oh Man, Who Told Elizabeth Warren About Symphony? Of course a super-secret Wall St. messaging app is going to make her Hulk out. This is Elizabeth Warren we're talking about. Congrats, Kathy, buy a helmet. "Don't pretend like we're friends...You don't KNOW us."